Every day is a season to be jolly and help others in need. But since it's the holy week, the famous noontime show, "It's Showtime" made it extra special to show how they reached out to one of their viewers to be able to help them even for just a day. In one of their special episodes, the darling of the show, Anne Curtis, decided she would help the family of Carlos and Maring Cinco. This year, Anne did her part by doing what the Cinco family does in a day. It appears that the family would sell rags under the heat of the sun to be able to provide food on the table. 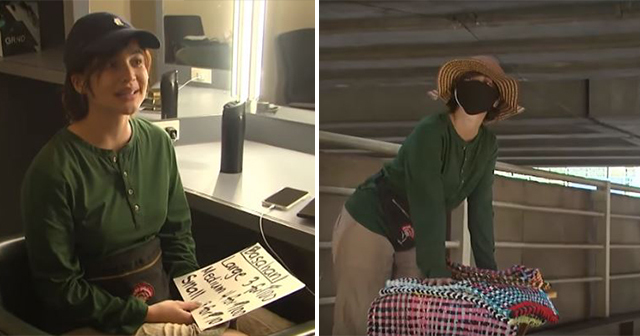 According to Pilipino News, Anne Curtis willingly volunteered to change places with the family and sell the rags herself. Now, she was able to experience a day of the Cinco family's life. She disguised herself and experienced the job first hand. Anne even talked about what a day in the Cinco family felt like. She explained, "Ilalagay mo kasi ung sarili mo on a daily basis kung anong ginagawa nila para kumita ng pera. Kailangan ko gawin bitbitin lahat ng ginawa nilang basahan. Sobrang bigat. Dadaanan ka lang nila." Being not used to this kind of work, Anne admitted she almost gave up. But what kept her going was the fact that the Cinco family does this kind of job every day and she was sure she can do it too. She even said, "At one point gusto ko na umiyak kasi parang ito ung nangyayari sa kanila. Parang dinadaanan lang sila ng mga tao. Imagine you're there trying to sell pieces given by your lola or your mom. Gusto mo makabenta kasi wala kayong kakainin tapos walng pumapansin sayo? Ang hirap naman ng ginagawa nila." 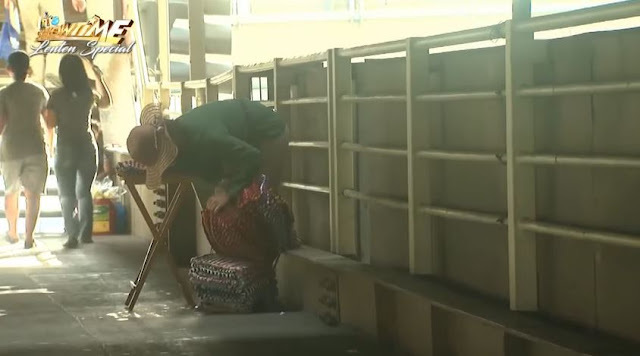 However, despite the heat of the sun and her new location for selling the rags, Anne was able to sell all the rags and then she gave all the money she earned to the Cinco family, along with the things the show gave to them as a gift. Just by watching the video below, you can tell how hard it was but with the right motivation, Anne Curtis definitely did well on helping the Cinco family.